Metal fabrication is a significant contributor to the industrial economy in the United States. The nation's 7,110 metal fabrication companies are in great demand. Data gathered by IndustryNet shows sales in the industry have surged 8% in the past twelve months, while employment has grown 1.7%. These companies generated over $71 billion in revenue in 2017, and currently employ 147,504 in the U.S. The distribution, sales, and workforce data vary by location and industry segment. This article will explore those differences and the criteria by which businesses may make an informed selection of a metal fabrication fabrication company. Businesses that illustrate different aspects of this industry and the services they offer to customers, will be highlighted. The location of a business is significant. Proximity reduces shipping costs and enhances the ability of customers to monitor and control quality. The most substantial number of metal fabricating companies, 1,943, can be found in the Midwest region of Illinois, Indiana, Michigan, Ohio, Wisconsin, Iowa, Kansas, Minnesota, Missouri, Nebraska, North Dakota, and South Dakota. The Southeast is close behind as home to 1,044 metal fabricating firms in Delaware, Florida, Georgia, Maryland, District of Columbia, North Carolina, South Carolina, Virginia, and West Virginia. The Mid-Atlantic states of New York, New Jersey, and Pennsylvania, the South Central region of Arkansas, Louisiana, Oklahoma, and Texas, and the Pacific region of Alaska, California, Hawaii, Oregon, and Washington show a relatively equal distribution of 689, 685, and 593 companies, respectively. The clustering of firms in the east south-central region comprised by Alabama, Kentucky, Mississippi, and Tennessee and the mountain region incorporating Arizona, Colorado, Idaho, Montana, Nevada, New Mexico, Utah, and Wyoming is also similar in number, with 486 in the former and 442 in the latter. 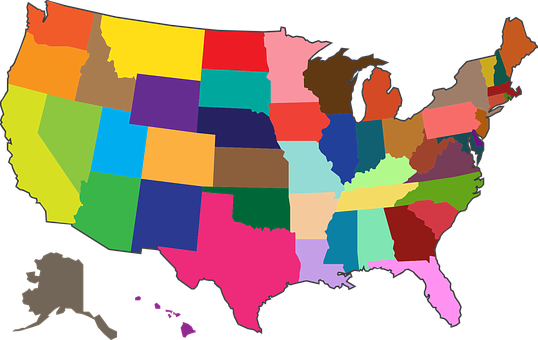 The New England states, Connecticut, Maine, New Hampshire, Rhode Island, and Vermont host the least number of fabricators, 257. The potential for employment correlates with the locations of the companies. The highest number of jobs in the Midwest and South Atlantic regions. The fewest openings are in New England. The first thing a business must consider in selecting a fabricator is the capabilities of the shop. Not all manufacturers work with the same materials. If, for example, products will be constructed of aluminum, a company that specializes in steel may not be a good fit. Even with the correct choice of metal, a provider must be able to accommodate the dimensions specified in drawings or computer-aided design files. A shop must also offer needed services such as cutting, often by computer numerical control, bending, blasting, powder coating, and painting. Projects may require assembly by welding, bonding with adhesives, riveting, or with threaded fasteners. Both automation and human labor may be necessary for a project. A fabricator should be able to provide whatever is required. A customer who needs a prototype should enlist a firm with the ability to design and create one. Prototyping may involve the use of CNC or 3-D printing. If installation or on-site assembly services are necessary, particularly for large projects, it is essential to choose a vendor who can provide them. Experience is also paramount in a competent fabricator. It will enable a provider to streamline production to reduce costs and ensure on-time delivery. 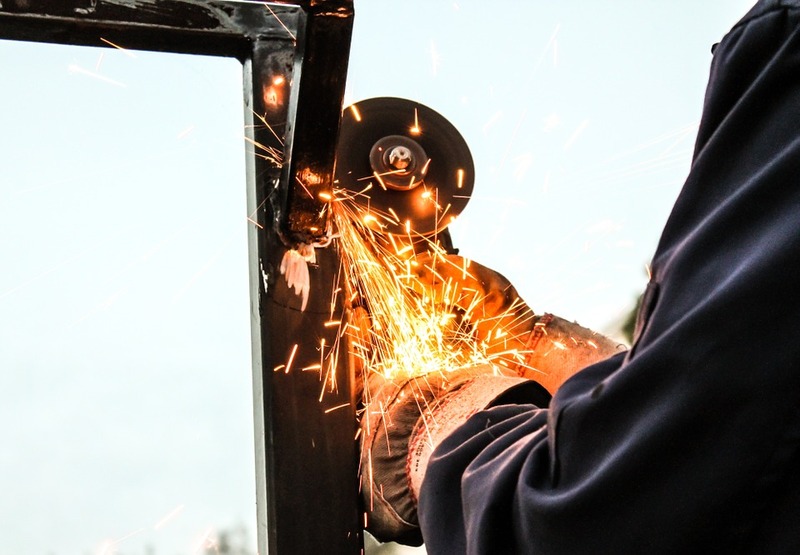 Metal fabricators must also be aware of all applicable regulations, standards, and codes that will affect quality, and minimize liability for both themselves and their customers. Businesses that have stood the test of time will also be able to provide references and a list of similar projects they have completed. Customer service can be the difference between the timely delivery of an order or frustrating delays. A business should determine how well a potential fabricator communicates with clients and its responsiveness to their needs. Factors contributing to a successful collaboration will include keeping customers in the loop concerning the progress of a job and expected delivery times. A well-functioning fabrication operation will have a verifiable history of reliably meeting their clients' schedules. Prices vary from shop to shop depending on location, overhead, and labor costs. A business should obtain quotes from multiple vendors. The lowest bid is not always from the shop which will provide the highest quality product, but with other factors being equal, pricing is a straightforward method for choosing a provider. 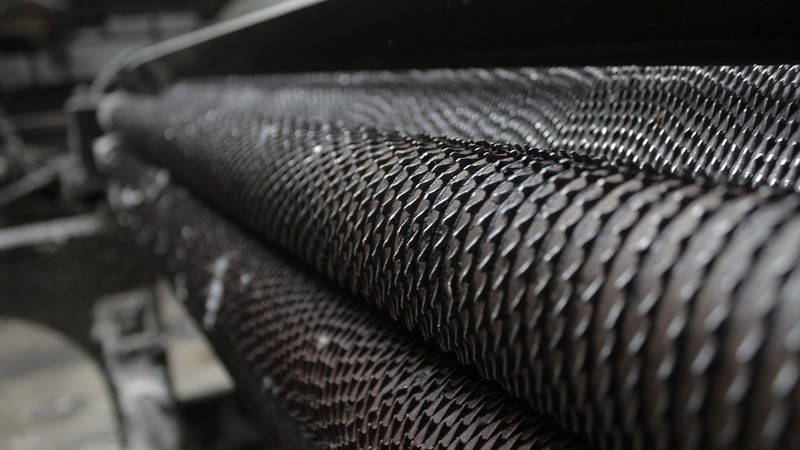 IndustryNet has gathered extensive data on six types of metal fabricators. These segments vary by both the types of materials used in manufacturing and the processes available. The companies listed below provide a window into the products and services available in each category. Steel fabricating is an extremely active segment of the industry. Its yearly sales are a robust $33,486,774,961 and the sector provides 47,254 jobs. Metro Steel and Pipe Supply, Inc., established in 1974 in Tavares, Florida serves the Southeast. The shop has grown in both square footage and available services, adding to their equipment as new technology developed. Its capabilities include CNC machining, CNC forming, plasma cutting, laser cutting, and plate rolling. Metro also possesses heavy machinery for metal sawing and shearing. Its quality system follows ISO 9001:2015. Doing large volumes of business enables Metro to keep their prices competitive. Midwest Steel Fab, LLC. of Wichita, Kansas specializes in components for the construction industry. Its products include rebar, structural steel, steel beams, anchor bolts, steel stairs, custom platforms, handrails, gratings, ladders, and joists. 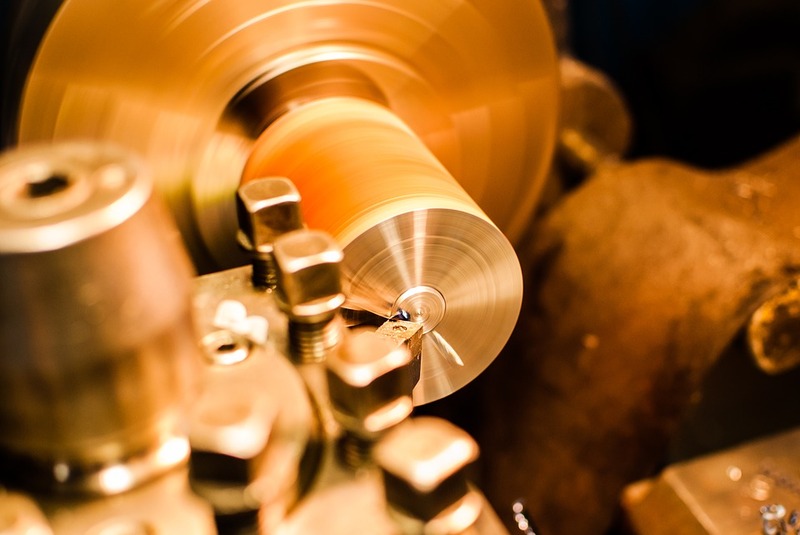 It offers drilling, sawing, cutting, punching, threading, and welding fabrication processes. Midwest customizes products to meet their clients' requirements. It will shape steel to customer specifications. Midwest's finishing capabilities encompass prime painting, galvanizing, and powder coating. The company is a member of the American Institute of Steel Construction. Want to read more about steel fabrication companies in the U.S? Check out our report on the 19 steel fabrication companies leading U.S. growth. There are currently 225 aluminum fabrication companies in the U.S. Aluminum fabricators employ 3,425 workers and have $1,793,149,993 in sales per year. The aluminum industry requires high levels of skill. It maintains specialized safety standards for its workers as well as procedures to ensure the quality of its products. Pennex Aluminum Co. in Wellsville, Pennsylvania is ISO:9001:2008 certified. An additional plant in Leetonia, Ohio has achieved ISO/TS 16949: 2002 certification. Established in 1979, Pennex employs over 400 workers and regards safety as the only way to do business. Pennex is dedicated to producing high-quality extruded aluminum products and serves the automotive, building and construction, consumer durables, and transportation industries. Its standard products include I-beams, rods, pipes, and tubes. It also produces complex shapes to customer specifications. Service is a high priority at Patriot Stainless and Welding Inc. in Newark, Ohio. Customers calling 24 hours a day can reach a live person to dispatch emergency services ranging from welding to electrical repairs. Patriot's mobile fleet offers in-house repairs and riggings, including entry and rescue in confined spaces. In addition to these services and a wide range of steel products, it fabricates square tube in aluminum. Patriot is a member of the National Association of Metal Manufacturers, The National Ornamental and Miscellaneous Metals Association, and the Metals Service Center Institute. Its clients include some of the largest construction companies in North America, and its skilled craftsmen have over 100 years of combined experience. The company's capabilities include fabrication in a full-service machine shop, a CNC plasma system, design, and engineering. Interested in aluminum fabrication? Check out our posts on the latest trends in aluminum fabrication and the nation's top aluminum fabrication companies. The nation's precision metal fabrication companies provide 1,638 jobs and realize yearly sales of $105,749,999. These companies produce components featuring close tolerances. Qualifications to offer this type of work include 4,000 hours of instruction. JIT Manufacturing, Inc. in Woodinville, Washington is a certified women's business enterprise. It also holds an ISO 9001:2008 certification. Additional welding certifications include AWS D17.2 class C and AWS D1.3. It is also ANAB accredited. JIT provides products for the medical, dental, aerospace, audio and other industries. JIT was founded in 1986 and occupies a 28,528 square foot facility. The company partners with local finishing houses to provide painting, powder coating, silk screening, plating, and anodizing. It is committed to quick turnaround times and on-time delivery. TEC Inc. in Frederick, Maryland is certified to ISO 9001:2008. It was founded in 1966 and is a veteran-owned business. Its extensive equipment includes CNC machines, lathes, saws, presses, three types of welders, sanders, a spray booth, and a curing oven. TEC's facility also houses an on-site powder coating operation enhanced by phosphate and iridite chromate conversion coatings lines. These processes contribute to the inhibition of corrosion in metal products. TEC employs skilled sheet metal technicians with specialties ranging from computer programming to quality assurance. Structural steel is used in the construction of bridges, buildings, and other large structures and is manufactured from superior grades of metal. Due to the possibility of injury in the event of product failure, quality management in structural fabrication is of the utmost concern. America's 1,486 structural steel fabrication companies employ 34,732 workers with sales per year of $15,391,412,473. American Structural Metals, Inc. in Somerset, Wisconsin serves the most demanding customers including government, the military and original equipment manufacturers. ASM maintains an AISC quality certification. With its 120,000 square foot base not far from Minneapolis and Saint Paul, it has worked on projects in 35 states and three countries. Its fabrication facility incorporates a specially designed five-axis CNC cutting machine. The company's finishing facilities include paint and blasting booths. ASM's start-to-finish services encompass estimating, design, detailing, drafting, fabricating, and on-site erection of joists and decks. ASM meets tight schedules while remaining within the bounds of tight budgets. Sanpete Steel, LLC has imposed a "done right and on time" standard on itself since its founding in 1994. Located in Moroni, Utah Sanpete holds licenses in Utah, Nevada, and Hawaii. It serves the mountain area but has participated in projects throughout the country. Sanpete's shop facility covers 14,000 square feet and includes structural and handrail shops. It maintains a state-of-the-art beam line that allows it to produce an average of 50 30 feet long by 18 inches wide beams per day. The size of Sanpete's jobs ranges from less than 5 tons to 2,500 tons. The company is an AISC certified steel fabricator. Iron fabricating companies in the United States provide 5,203 jobs and have $616,649,992 in yearly sales. These businesses produce many of the objects that add the finishing touches on construction projects. Products include guard rails, vehicle gates, fire escapes and fences. Chicago Iron Works, Inc. has been installing ornamental and protective structures in Chicago and surrounding suburbs for more than 60 years. The company prides itself on delivering whatever iron design a customer may visualize, and many of its products are handcrafted. The company's typical turnaround time is seven to 10 days. This firm is fully insured and offers competitive pricing. For more than 100 years, Paterson, New Jersey and the surrounding area have depended on De Jong Ironworks, Inc., a fourth generation family business, to fulfill ironwork needs. The company partners with local firms for remodeling and building of homes. De Jong also fabricates and installs roof structural platforms to accommodate equipment and ladders for mechanical contractors. To quickly provide for the needs of its partners, De Jong maintains a large stock of items including columns, beams, pipes, and tubes. De Jong will cut these products to any length. It also provides welding services and miscellaneous supplies. With yearly sales of $584,734,992, the nation's 230 custom metal fabricators employ 4,007 workers. These companies use sheet metal to form everything from wagons to enclosures. Materials used to craft their products include stainless steel, galvanized steel and aluminum. Related: custom metal fabrication industry outlook strengthens. For more than 40 years, S.A.R. Metal Products has been in business in Rosedale, Maryland. It custom manufactures both single and three phase transformer cabinets, troughs, and oyster trays. Customers may call, fax, or email drawings and pictures, and S.A.R. will fabricate the desired products out of light gauge steel, stainless steel, or aluminum. S.A.R. works with general contractors, plumbers, and commercial window companies. A wide range of industries including pharmaceuticals, food, meat, chemicals, and printing are served by Tal-Mar Custom Metal Fabricators, Inc.
Its products are as varied as storage boxes, cafeteria column covers, chair rails, and water bath troughs for plastics manufacturing. It custom builds process machinery, silos, ovens, conveyors, and chutes. Tal-Mar can machine to close tolerances and provides precision drilling, threading, and assembly. Metals used include stainless steel, aluminum, and brass. Tal-Mar also provides design, rigging, and installation services. With so many companies out there, starting your search for the right metal fabrication company can be overwhelming. Now, more than ever, it's important to have the right online tools at your disposal to help simplify the process. IndustryNet is a one-stop free industrial sourcing platform that provides up-to-date data on 400,000 U.S. manufacturers and suppliers of more than 10,000 industrial parts and services, including all 7,110 metal fabrication companies currently operating in the U.S.
IndustryNet listings provide comprehensive information on each company, including vital contact information, product and service offerings, ISO ratings, social media links, map and driving directions, catalogs, videos, photos and more. Users of IndustryNet can create a free list of metal fabricators, or any other type of industrial supplier, contact suppliers directly from the listing page, and easily send quote requests. Related Companies: American Structural Metals, Inc., Chicago Iron Works, Inc., De Jong Iron Works, Inc., JIT Manufacturing, Inc., Metro Steel, Midwest Steel Fab, LLC, PATRIOT Stainless & Welding Inc., Pennex Aluminum Co., S.A.R. Metal Products, Sanpete Steel, LLC, TAL-MAR Custom Metal Fabricators, Inc., TEC Inc.